The last century witnessed a plethora of ideology-based regimes: The Union of Soviet Socialist Republics, the People's Republic of China, the United Arab Republic and the Buddhist Socialist State of Myanmar among others. The pretension behind all those labels was that rather than being the art of solving the people's problems, politics was a means of advancing the real or imagined goals of an ideology. Another thing the three crisis-struck regimes (Iran, Algeria, Venezuela) have in common is that they are all oil-and-gas states, which means that because they don't depend on income from taxation, they can regard their people as expensive and bothersome extras. In all three countries, the traditional military holds the balance of power between the ruling elite of which their own top brass is part and the mass of the rebellious citizenry. The obvious thing they have in common is that all three crises are rooted in a sharp disconnect between a discontented but combative people thirsty for change and a tired but arrogant ruling elite hell-bent on hanging onto power. Despite differences that might appear striking at first glance, all three countries have many other things in common. They all have ideological regimes reflected in their official names. All three call themselves "republic" but render the term ambiguous through modifiers. The Iranian regime calls itself "Islamic" which it takes to mean rule by a section of the Shiite clergy under a self-styled "Supreme Guide". The Algerian regime uses the double-barrel modifier "people's democratic" to render the term "republic" meaningless. 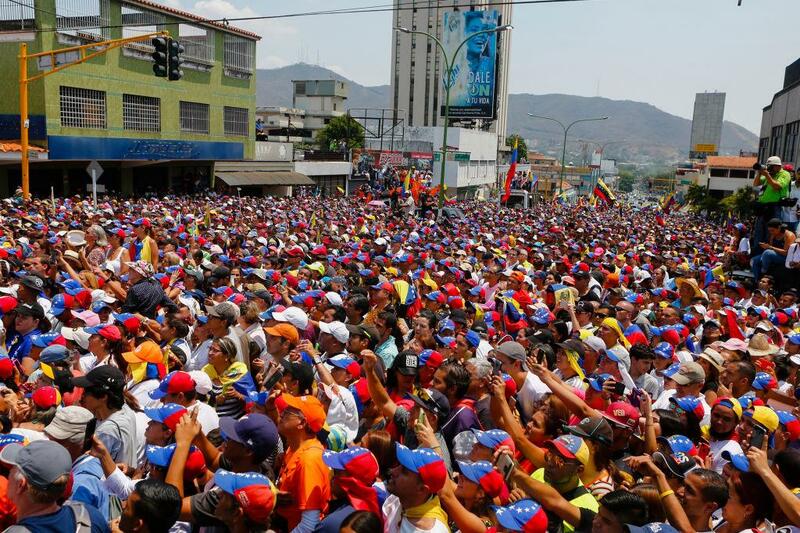 The Venezuelan regime obtains a similar result with the term "Bolivarian republic." All three hark back to the last century which witnessed a plethora of ideology-based regimes: The Union of Soviet Socialist Republics, the People's Republic of China, the United Arab Republic and the Buddhist Socialist State of Myanmar among others. The pretension behind all those labels was that rather than being the art of solving the people's problems, politics was a means of advancing the real or imagined goals of an ideology. The Islamic Republic of Iran boasts about its genesis in the so-called "Islamic Revolution" of 1979, which consisted of four or five months of riots culminating in the Shah's decision to leave the country, creating a power vacuum that the mullahs filled with little difficulty. Unlike classical revolutions that witness genuine and often prolonged conflict between opposing ideologies, the Iranian revolution happened so quickly and so easily as to deprive even its leaders from the possibility of creating a revolutionary biography for themselves. The People's Democratic Republic of Algeria sees its roots in the imaginary "military victory" over the French army, the second most powerful in NATO at the time. It ignores the fact that the "liberation army" that seized power soon after independence had played a marginal role in actual fighting. In Venezuela, the myths are built around a doctored biography of Simón Bolívar, who had dreamt of a grand united states of South America and even served as president of Bolivia, Peru and Grand Colombia at a time those lands had not yet developed distinctive national identities. Had Bolívar been around today, he would have been scandalized by attempts at casting him in the role of a Venezuelan nationalist promoting a pseudo-socialistic project. Another thing the three crisis-struck regimes have in common is that they are all oil-and-gas states, which means that because they don't depend on income from taxation, they can regard their people as expensive and bothersome extras. Iran, Algeria and Venezuela are all members of the so-called Non-Aligned Movement and have hosted its summits. In that context they have retained some memory of the Cold War as regimes sympathetic to the Soviet bloc and opposed to the so-called Free World led by the United States. The umbrella term for that hodgepodge is "Third Worldism," which means presenting Western democracies as enemies while trying to benefit from the economic, social and cultural possibilities they offer. The Khomeinists in Iran hate the American "Great Satan" but send their children to the US for study and their old ones to Western Europe for medical treatment. Many top officials of the Islamic Republic have their money, often ill-gotten, laundered through Western European and, more recently, Canadian banks. The Algerian ruling elite say they hate France, the former colonial power, but many "decideurs" (decision-makers) own properties there and many others spend their retirement there. For at least the past 30 years, the same elite has been selling gas to France at prices below the international average. The Venezuelan situation is no different. The so-called Bolivarian elite has tied the nation's economy to the United States more tightly than ever while rhetoric against "Yankee Imperialism" has intensified. All three regimes have created a rentier class [people who live from the rents they charge, rather than from labor (ed.)] whose chief function is to provide at least the illusion of a popular base for them. In Iran that role is played by the so-called "living martyrs", "families of martyrs", and "Ansar (supporters) Hezbollah". The 400,000-strong "Mobilization of the Dispossessed" provides the military backbone of that base. In Algeria the network of "Mujahidin" (Holy Warriors) plays a similar role along with armed auxiliaries raised during the bad days of the 1990s. In Venezuela, the 600,000-man "Bolivarian" paramilitary, created by the late Hugo Chavez, serve a similar function. The latest analyses indicate that in Iran, the bulk of the military is still unwilling to switch sides in favor of the protesting masses. But there are also signs that it might not be ready to automatically crush a popular uprising. In Algeria the military, closely linked to big business, has distanced itself from the elite of "decideurs", forcing them to offer a first concession by withdrawing the candidacy of President Abdelaziz Bouteflika. In Venezuela, the top brass still hesitates to take sides, making it possible for President Nicolas Maduro, regarded as a usurper by many, to keep his armed Bolivarian paramilitary mobilized. That is what happens to what one might call "short-term" socio-political systems from the Nazi Germany to the USSR, to Peronism in Argentina and Nasserism in Egypt. All "short-term" systems end in a span of time that must be regarded as brief in broader historic terms. In them, everything is intense, everything including the inevitable fall.